Repdat returns Monday 12th March showcasing the best in the UK’s undiscovered talent. If you missed the first episode last week, it featured 3 of the UK’s finest Rap artists, Smartz, Fdot1 & Bhype all fighting for a place in the One Mic grand final. The winner of the whole competition to receive the coveted prize of studio sessions with Unit 10 Recordings and a video produced by Jimmy Chiba. Whilst the competition was fierce, Bhype emerged the winner and took the first out of the three final places. The next round features Soul sensations Davinia Rodriques, Andrea Galaxy & Deja Fate all hoping to join Bhype and take one of the two remaining places in the final, who do you think will succeed? 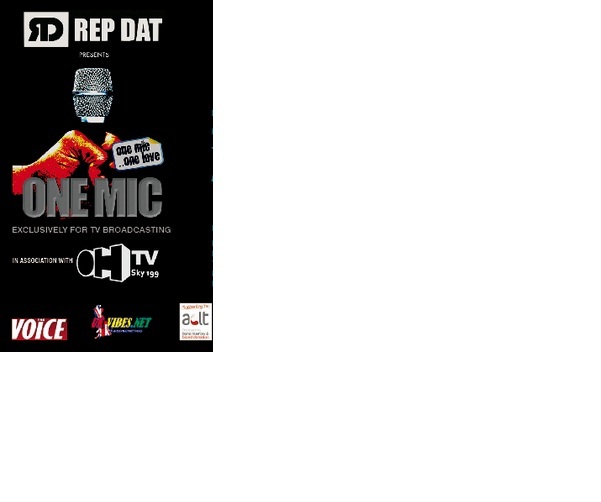 Tune in to Repdat, OHtv on Monday 12th March, Sky Channel 199 at 10pm!